Ninite - Install multiple apps easily, automatically, and for free. With more and more applications going to the cloud for availability, one is constantly turning to the web to download programs for installation. I've tested and used multiple computers from work that arrive with little software, so I often have to download browsers and other apps such as Google Earth or Evernote. I imagine home users would also find use for a single installer to rule them all...enter Ninite. As mentioned upfront on the site's one and only page, there are three steps needed to get you your applications. First, you pick your apps. 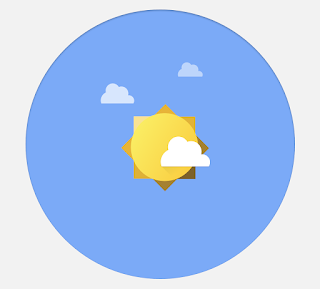 There's a fair selection, and they are grouped by category (browsers, media, security, and more). Next, you get your installer, which took a matter of seconds for me. Lastly, you run the installer, which then "silently" gets you your applications ready on your machine. Granted, for hundreds or thousands of machines that corporations deploy, an image most likely handles the installation of the core suite of programs. However, we tend not to put a lot of the extra applications on our standard image to avoid loading it up with programs that teachers just will not use. When using our Tablet PC's, teachers do have installation privileges with a local login, so they may choose to install different browsers or useful programs such as Dropbox. Home users will certainly enjoy the one-stop shopping that Ninite offers. 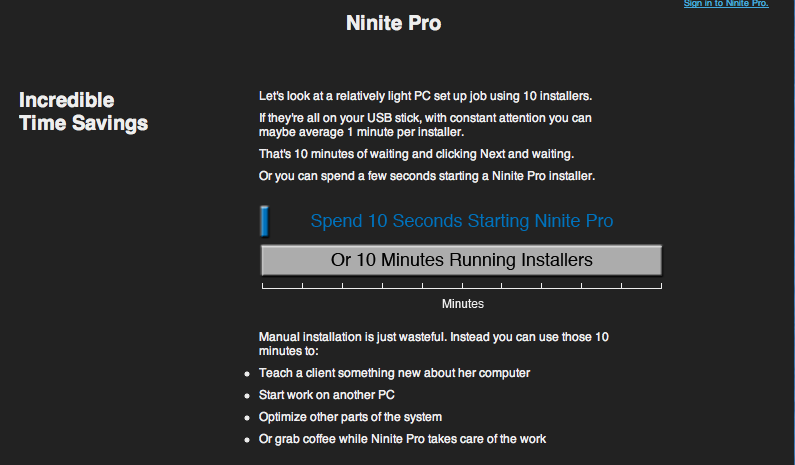 Ninite offers a Pro version that offers faster installation, an off line installer, and other extras. The price is $20/month, so this is more likely for very large organizations or extremely taxed IT departments. Currently, the software is for PC's only, which makes sense as the bulk of the programs are PC related. However, I could see a MAC version in the horizon since there are multiple browsers and more programs are added. 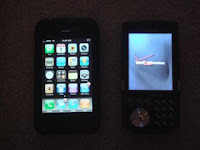 The bottom line is that Ninite is simple, quick, and efficient.